On Internet people most often search for free Domain and hosting. Specially Students and some web developers try to find some best free Domain and hosting service providers. For them i have gathered some information which may helpful for them. Sometimes some free is not actually free. In case of Hosting, Some services offer free hosting with ads, some take forever for the activation process, some others require users to make a minimum number of posts in some forum before becoming eligible for the service. The ones that we are looking for should be “as free as possible”. .tk - Free second-level domain from Tokelau. .net.tc – Free third-level domain just like .uk.tc, .us.tc and other domains which can be registered there. .tr.vu – Free third-level and fourth-level domains like .tr.vu and others (similar to previous). .cz.cc - Free subdomain (blocked from Google). .nl.eu.org – Free subdomain (example: nl.eu.org). You must be affiliated with the country related to the domain. .co.nr – Free subdomain (URL forwarding only, no DNS). .com.co.in – Free subdomain (URL forwarding only, no DNS). .free – Free second-level domain (GeoTLD) (will be released soon, per-registration running here). .co.tv – Free third-level domain (ending service – no new registrations are accepted and existing domains will be cancelled after end of registration period). #1. Wix – This is a pretty sweet website. You can get a stunning website hosted for free with Wix. Wix has 26+ Million websites hosted using its platform. 30K new users sign up daily. Started in TelAviv. #2. Weebly – Weebly is a free website builder that offers free website hosting to all users. 12+ million people use this platform and are able to host their business using Weebly. Powerful drag and drop website builder with 100’s of professional website themes to help your business grow online. Weebly was named one of TIME’s 50 Best Websites of 2007. #3. 000webhost – With 000webhost they have zero hidden costs, zero adverts, and zero restrictive terms when using the hosting. 1.5 GB disk space, 100 GB traffic included with all free accounts. They have a 99% uptime on all their zero cost hosting accounts. Most of their servers have maintained 99.9% uptime over the past 5+ years. #4. Yola – Yola is a hip new space where you can create a professional business website in a matter of minutes at the low cost of free99. No technical experience required. They have over 7 million customers and some of the top customers and business partners online. Started in Cape Town, South Africa in 2007. #5. EDUBlogs – This one is awesome. This is mainly a free hosting platform for students and teachers. It’s recognized as the top free website hosting platform in the .edu space. They have 1.6 million blogs that they are currently hosting for free. Customers seem to love them. They offer 32 gig free storage with ad free and student safe storage. Work with tons of Universities including Stanford, Cornell and many more. Been in business since 2005. #6. Freehostia – Has been in the free hosting space for 5+ years. They are located in their Peer1 hosting facility in Freemont California. They have a 99.9% uptime guarantee with a 24/7 customer care team. Freehostia gives you 250 MB disk space and 6GB monthly bandwidth with every account. #7. Webs – Webs.com is a very easy to use free hosting system with a small ad located on your site. Come with hundreds of free drag and drop website templates for your business to grow. They offer both live chat and free website service. Signup takes around 30 seconds and you can have a decent site setup within about an hour. #8. 5GBfree – 5gbfree offers 20GB of free disk space along with 3 MySQL databases and PHP scripting. It’s 100% commitment free meaning you can quit at anytime. I really like that they offer free c-panel to all their free hosting customers with no ads left on your website. #9. Jimdo – Founded in 2007, Jimdo has become one of the top basic free hosting websites out there with more that 7 million sites using their system. Just signup, confirm your email, pick a template and you’re good to go! #10. FreeHosting.com – Offering 100% free hosting for all the sites out there. They offer no hassle and no purchase required. They offer free web tools and easy to use website services to get your site looking pretty online. They also offer FTP, CGI, PHP5, MySQL, PYTHON, ROR, CRON and File Manager with their web hosting accounts. #11. SnapPages – With a slick drag and drop website creator, easy to use website service Snappages helps online businesses with free hosting of up to 5 different pages on a fully customizable website. You can literally have your free web site up and running in a matter of a few clicks. #12. xtreemhost – Provides cheap and unlimited hosting. Comes with both Php and MySQL support as well as domain name support. Their platform is ad free which makes it nice for small to medium sized businesses that are looking for free online website hosting. Gives you 5.5 GB disk space with 200 GB monthly data transfer. #13. Zymic – 10MB disk space, 2GB bandwidth transfer with your free website hosting account. Each site is limited to 10 visitors to your site a month. They pride themselves with being one of the biggest and best no cost hosting companies on the planet. #14. Byethost – Ad-free load balanced zero web hosting service including PHP, MySQL, FTP, Vista-panel (Bythost personal built hosting control platform). You get 1000 MB of free storage. They have their own proprietary load balancing software that they manage and have built. You can install many popular scripts such as PHPbb2 and PHPbb3, WordPress, Zen-Cart, osCommerce, MyBB, UseBB, MyLittle Forum, 4images, Coppermine, SMF, Joomla, e107, XOOPS, PHP Wind, CuteNews, Mambo, WikiWig and many more! #16. AwardSpace – Offering a whopping 250MB disk space and 5GB traffic for each free hosting account. 1 domain and 3 subdomains with 100% no ads included as well. 1 Email account with 1 MySQL database per free account. There are over 1.5 million customers currently using their service. #17. 1FreeHosting – Zero ads and c-panel provided at no cost with SSH. 100GB bandwidth, unlimited add-on domains, 5 free email accounts and 10GB free disk space since 2001. They have a partnership with Web Hosting Geeks to make this possible. #18. FreeHostingEU – Free professional hosting with reliable cluster servers. FreeHostingEU offers each free customer 200mb free storage and 4000mb of data bandwidth transfer. Comes with easy WordPress and Joomla hosting integration. #19. Uhostfull – Professional free website hosting service Uhostfull gives users 20 GB data space and 200 GB data transfer to host their website. Zero forced ads with instant activation. Interesting to not that all servers utilize 1 Gbps Internet connections. #20. FreeHostingNoAds – 20gb of free hard drive space and 200gb free bandwidth with no ads on every regular free hosting account. They have free hosting for html 5 sites and for regular websites. Something cool is you get free pop email accounts included with every free website hosting account created. #21. 50 Webs – This is another Peer 1 free hosting brand that is located in Freemont California offering 500MB free disk space and 5GB bandwidth with each account. You are able to have FTP access and up to 10 domains with each account. 24/7 customer support included as well. #22. AgilityHoster – Quick WordPress and Joomla install with guide. You get 1000 mb free data storage and 5gb data transfer with each account created. You get 1 domain with 3 sub domains included with all free accounts. 100% free FTP access and file manager. #23. Biz.nf – Recognized in Norfolk for being one of the best free web hosting plans on the Web Biznf offers 250mb web space and 5000mb free data transfer. I really like their 1 click website transfer but it’s not allowed on the free sites! #24. ZettaHost – Offering 1000mb free data storage and 5gb bandwidth transfer per free hosting account. Each account comes with 1 domain with PHP, MySQL and Perl integration. Zettahost offers instant access to your free hosting account the second you signup. #25. x10hosting – This is a free website hosting service provided by SingleHop with more than 400K community members. 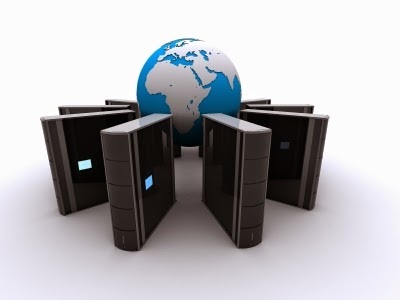 This free hosting includes PHP 5, MySQL, with an auto install script that you can easily use. Thanks for this great offer with domain registration and website hosting , We also offer Website Hosting and Domain registration and Website Designing and Development services and also work in very affordable prices, Hosting Clouds Servers are built on the latest in cloud technology which ensures that it always stays up. This means that you can finally focus on writing codes and deploying apps instead of dealing with server hardware issues.